Heyward had two tackles (both solo) for two sacks during Sunday's 16-13 win over Cincinnati. Analysis: Heyward finishes up his ninth season with 51 tackles -- including eight sacks -- and one fumble recovery in 16 games. He has two years remaining on his current contract and does not appear to be slowing down. The 29-year-old has recorded 20 sacks in his past 31 games to match a much younger T.J. Watt's (24 years old) production over that same span. Heyward totaled six tackles (four solo) during Sunday's 24-21 loss to Oakland. Analysis: Although he failed to record a sack, Heyward was able to log his highest tackle total since Week 1. He is currently third on the team in sacks with six, which leaves him well off a 2017 pace that resulted in a career-high 12 sacks. Heyward had one tackle for a sack the last time he faced Week 15 opponent New England in 2017. Heyward had five tackles (four solo) including a sack during their 20-16 win against Jacksonville. Analysis: Heyward recorded a sack in consecutive games for the first time this season to give him 5.5 sacks. He also found himself in the right place at the right time when T.J. Watt sacked Jacksonville quarterback Blake Bortles and forced a fumble that was recovered by Heyward on the final play of the game to preserve the win. 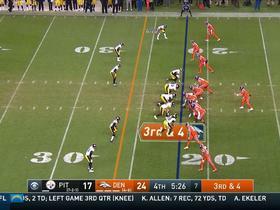 Pittsburgh will look to extend their six-game winning streak in Week 12 against Denver. Heyward totaled three tackles (two solo) including two sacks during Thursday's 52-21 win over Carolina. Analysis: The defense sacked Cam Newton five times and applied pressure all game for their widest margin of victory this season. Heyward now has 4.5 sacks on the season and will look to add to that total in Week 11 against the Jaguars. Heyward totaled three tackles (two solo) including one and a half sacks during Sunday's 41-17 win over the Falcons. Analysis: After notching 12 sacks last season, Heyward had gotten off to a slow start and had not recorded a sack since Week 1 against Cleveland. He'll look to keep the positive momentum going, having recorded four sacks in his last seven games against Week 6 opponent Cincinnati. Heyward (knee) is active for Sunday's game against the Chiefs, Dale Lolley of DKPittsburghSports.com reports. Analysis: Heyward practiced fully Thursday and Friday, but it still wasn't enough for him to avoid an injury designation heading into the weekend. While it's possible Heyward may be playing hurt Sunday, there's no indication he'll see a drop in snaps as a result of the issue. The pass rusher was his usual productive self in the Steelers' season-opening tie with the Browns, finishing with seven tackles and a sack across 82 total snaps. Heyward (knee) faced no limitations at Thursday's practice session. Analysis: Heyward did not participate at Wednesday's practice due to the knee injury, which appears to have been a minor issue. The 29-year-old should be ready for Sunday's game against the Chiefs. Heyward (knee) did not participate in Wednesday's practice. Analysis: The specifics of Heyward's injury are unclear, but it's possible the 29-year-old is getting a veteran's day off. His absence from practice presumably allows Leterrius Walton to work with the first-team defense. Heyward recorded seven tackles (five solo) and one sack across 76 defensive snaps in Sunday's 21-21 tie with the Browns. Analysis: After notching 12 sacks last season, Heyward picked up right where he left off, registering a sack on Tyrod Taylor -- one of just seven on the day for the Pittsburgh defense. He'll now be tasked with containing Kareem Hunt and the rest of the Chiefs' electrifying offense this Sunday. Heyward will not participate in Thursday's exhibition tilt against the Packers for rest purposes. Analysis: The Steelers are expected to rest several veterans Thusday, so there is no surprise that Heyward is one of them. The 29-year-old defensive end is entering his eighth season with the club and expected to start once again. Heyward was inactive (coach's decision) for Sunday's win over the Browns, finishing the 2017 season with 45 tackles (30 solo), including 12 sacks, two forced fumbles and a fumble recovery in 15 games. Analysis: Heyward showed no signs of the pectoral injury that cost him most of last season, ending the 2017 campaign as the team's leading pass rusher. He had four games with multiple sacks, and his 12 sacks were a career-high. Heyward is under contract until 2021 and should return next season to lead a revitalized Pittsburgh defense that recorded 56 sacks, the most of any team in the league. 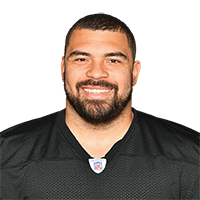 Heyward (coach's decision) is listed as inactive for Sunday's game against the Browns, Teresa Varley of Steelers.com reports. Analysis: The Steelers won't risk the health of their starting defensive lineman, as Heyward will be rested in Week 17 with the playoffs approaching. Leterrius Walton could draw the start across from Stephon Tuitt as a result, while Tyson Alualu may see additional snaps as well. Heyward totaled four tackles (three solo) including two sacks in Monday's 34-6 win at Houston. Analysis: With 12 sacks entering their Week 17 game against the Browns, Heyward continues to have the best season of his career. The Pittsburgh defense totaled seven sacks against Houston, matching the total from their Week 1 game against Cleveland. 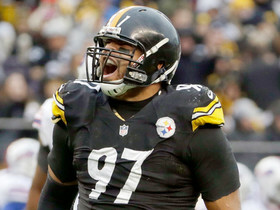 Heyward had one tackle (solo) for a sack in Pittsburgh's 27-24 loss to New England on Sunday. Analysis: Heyward is average less than three tackles per game this season, but still leads the defense with 10 sacks. His first quarter sack of Tom Brady was Heyward's first since Week 11. He'll look to add to his total when Pittsburgh visits Houston, which has allowed 45 sacks this season, on Christmas Day. 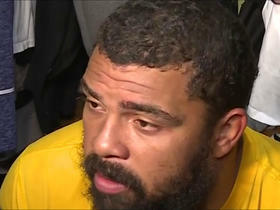 Heyward recorded six tackles (three solo), including two sacks in Pittsburgh's 31-28 win over Green Bay Sunday night. Analysis: The defense had a lackluster first half, blowing two assignments on long touchdowns and failing to get any pressure on Green Bay quarterback Brett Hundley. The second half began just as poorly when Hundley hit Davante Adams for another long score, before the defense settled in, recording four sacks and holding Green Bay to just seven more points. Heyward now has a team-high nine sacks this season, eighth most on the league. Heyward totaled three tackles (two solo), including two sacks, in Thursday's 40-17 win over the Titans. 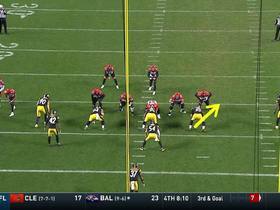 Analysis: Pittsburgh's sack leader (seven) is tied for seventh in sacks among all defensive ends this season. He'll look to add to his total in Week 12 against a Packers team whose 30 sacks allowed in nine games ranks as fifth most in the NFL. Pittsburgh Steelers nose tackle Javon Hargrave bearcrawls his way to sack Denver Broncos quarterback Case Keenum for a loss of 7 yards. 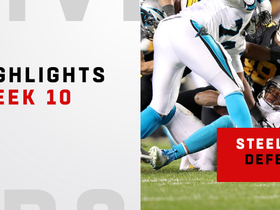 Watch every Pittsburgh Steelers sack from their Week 10 matchup against the Carolina Panthers. 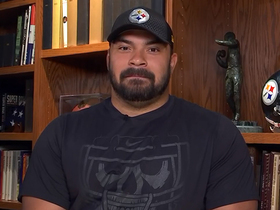 Pittsburgh Steelers defensive tackle Cameron Heyward addresses running back Le'Veon Bell's situation and whether the team is worried about Bell not returning to the team. 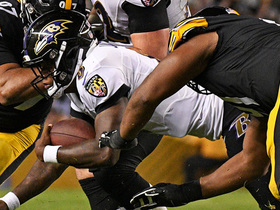 Baltimore Ravens quarterback Lamar Jackson keeps it on a quarterback run. 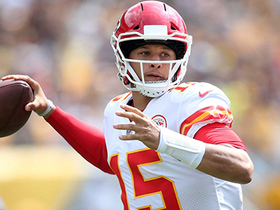 Kansas City Chiefs Patrick Mahomes throws sixth touchdown pass on dime to Tyreek Hill. 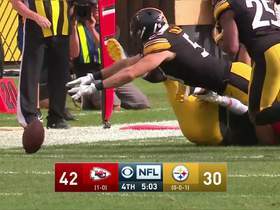 Pittsburgh Steelers linebacker Anthony Chickillo dives to save fumble recovery. 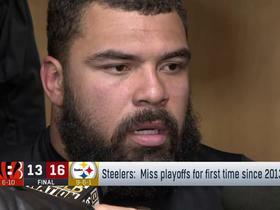 Pittsburgh Steelers defensive end Cameron Heyward joins NFL Total Access discusses the future for running back Le'Veon Bell.